The United Kingdom’s three primary intelligence chiefs are scheduled to testify in front of parliamentary leaders Thursday in what will be the first time they speak publicly on the revelations disclosed by Edward Snowden earlier this year. The director of Britain’s Government Communication Headquarters (GCHQ), head of the domestic security service MI5, and the head of the foreign intelligence service MI6 will each break their silence on national television. It will come on the same day that lawyers for David Miranda, longtime partner of journalist Glenn Greenwald, will argue in front of the British High Court that his nine-hour detention at London’s Heathrow Airport this summer violated Miranda’s rights. 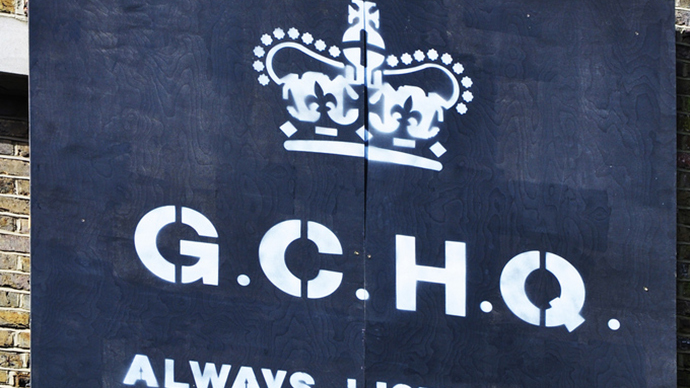 Parliament’s questioning of the intelligence heads is expected to be an evidence-gathering session as a result of the public outcry against the GCHQ and US National Security Agency. UK Prime Minister David Cameron and his allies in the Conservative party, while being embarrassed by the leaks, have defended the intelligence programs as a necessary aspect of national security. 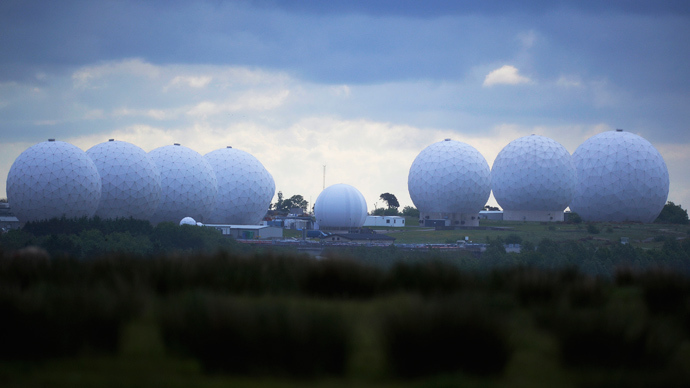 Sources said the questions would focus on if the disclosures violated individual privacy, not on how they affected the UK’s ability to gather intelligence or on operational matters. It’s unlikely that anything new will emerge during the session, according to investigative journalist Tony Gosling, who instead expects a no-thrills, staged mode of questioning. “Be sure your sins will find you out. I think this is going to be quite interesting. The only trouble is that this committee that’s grilling them, the intelligence and security committee is faulty in itself. Sir Malcolm Rifkind, who is the chairman, is actually very much wedded in with the military industrial complex himself. He is working for one of the defense contractors. So that is part of the problem here. We are likely to see quite a lot of rehearsed answers and actually not very good theater,” Gosling told RT. The GCHQ is the most influential of the three agencies, with more than 6,000 staff members that lead Britain’s cyber-wars. 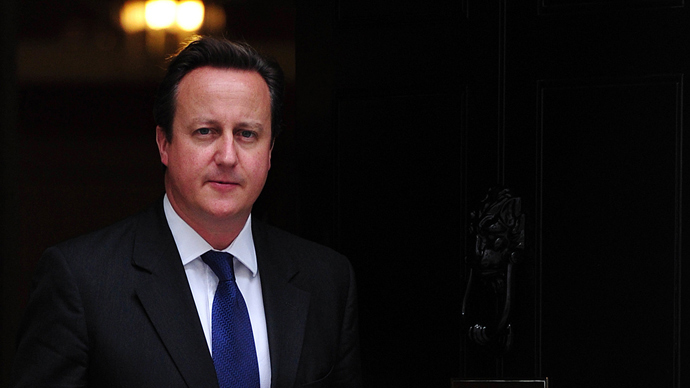 Cameron, refuting the idea that the GCHQ and others have gone too far in their surveillance efforts, has threatened to use his power to stop the press from publishing more details. British leaders have also claimed that the parliamentary grilling was planned long before Snowden’s leaks and the questions about privacy vs. security are not in response to it. 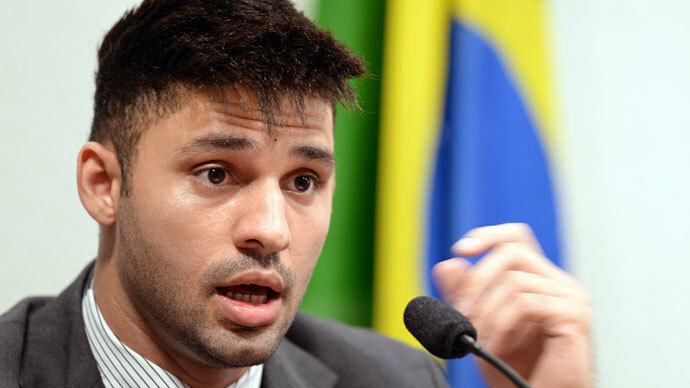 While parliament is discussing the fall out, David Miranda’s attorneys will try to convince the high court that authorities broke the law by holding Miranda when he was passing through Heathrow on August 18. Miranda, a Brazilian national, was in transit between Berlin and Rio de Janeiro after he met with Laura Poitras, a journalist who has been working with Greenwald to break the news based on the documents provided by Snowden. The detention was seen as part of the UK government’s crackdown on whistleblowers, following the Guardian’s reports on leaked NSA documents. David Galbreath, from the University of Bath, believes the government can “complain about and object” to sensitive leaks, but hardly has any right to take action against the media reporting them. “Most definitely I think that the issue of how far the UK government can go when squeezing an independent newspaper or news organization is totally unacceptable within a democracy,” Galbreath told RT. “And most definitely we are in the case where as you see most recently we have a strong judicial system which is suggesting that in fact the government is going too far in its crackdown on the Guardian”. He was stopped at Heathrow airport under the controversial schedule 7 to the Terrorism Act 2000. Miranda’s attorneys have sought to determine why he was stopped in the first place as well as details of why his laptop, phone, and other data-carriers were confiscated. Lawyers for the police and for the Home Office have maintained that Miranda was stopped because of concerns over national security and, more specifically, that he was involved in terrorism because of the material in his possession. The final draft of the police’s internal port circulation sheet (PCS), which outlined the reasons for Miranda’s surprise layover, said Miranda had the potential to “act against the interests of UK national security,” as quoted by The Guardian. The hearing is expected to be over by the end of the week.